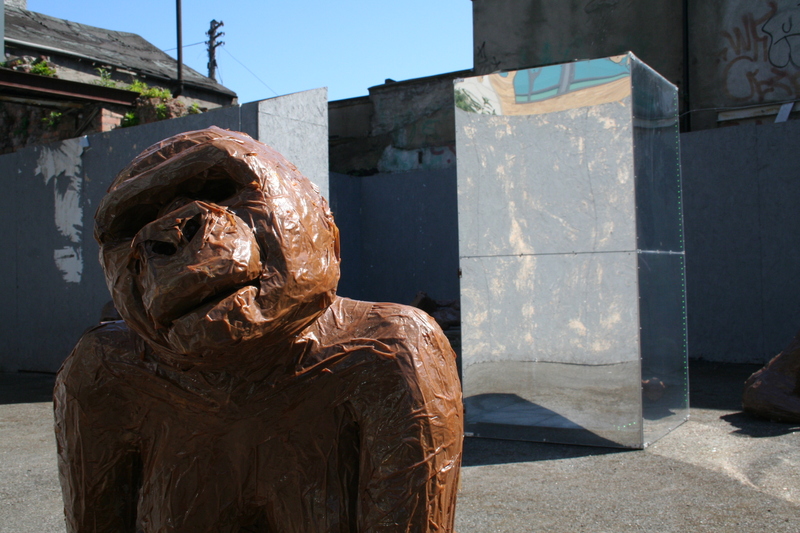 Art Lot – Dublin – Changing the world, one street corner at a time. Art Lot Dublin has completed its tenure as programmers for the vacant space at the junction of Harcourt Road and Richmond Street South. We began our collaboration with local property management company Clancourt and DCC in 2012 after responding to a public competition to activate a vacant site. This collaboration came to an end at the beginning of 2016. In the intervening 4 years, Artlot has commissioned various visual artists who each had a two month residency on the site. Artlot also twice hosted the Dublin Live Art Festival. Artlot appeared at last year’s Electric Picnic and will be returning to Electric Picnic 2016. Meanwhile we at Artlot thank all our artists and collaborators, sponsors and DCC for the opportunity this very visible public space has afforded us. We also heartily thank all those local people who expressed their pleasure and bemusement and more over the past 4 years and who turned up in large numbers to witness each new project on site. We endeavour to find new spaces and sponsors to work with in the future. Watch this space!